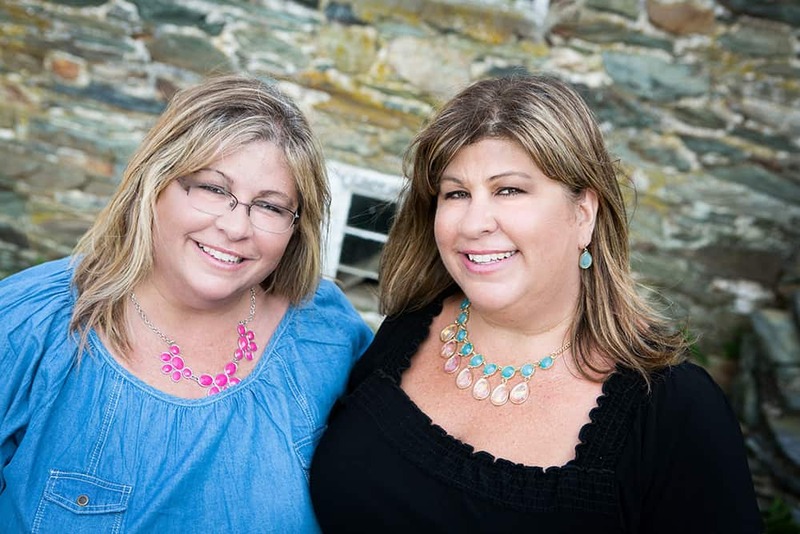 The Housewives of Frederick County and Piece O’ Cake are teaming up for a giveaway! We’re giving away one dozen cupcakes from Frederick’s very own Piece O’ Cake! The retail value is $ 27.00. Your odds of winning are based on your number of entries. The entries will start on Wednesday, June 19, 2013 and will end at midnight on Tuesday, June 25, 2013. 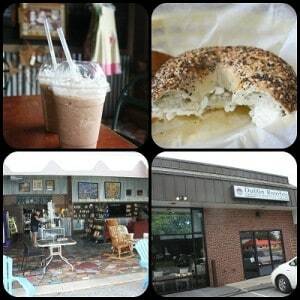 The winner will be announced on Wednesday, June 26, 2013. All U.S. residents, 18 years and older are eligible to enter. HOWEVER, for this giveaway, the winner will need to pick up the cupcakes from Piece O’ Cake, LLC in Frederick, MD. 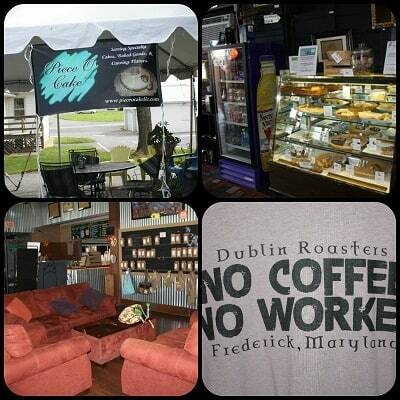 So, if you don’t live within driving distance from Frederick, MD, or if you don’t know someone in Frederick, MD that you’d like to graciously give your winnings to, then you may not want to enter this giveaway. 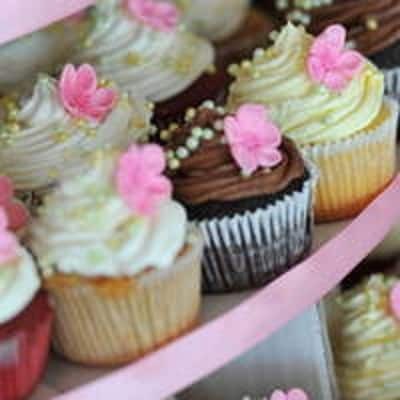 BUT, if you aren’t able to pick up the cupcakes and would like to donate your winnings to a business in Frederick, MD, well you can do that too! So, enter anyway – what the heck! Here’s here how to ENTER! You have the option to submit up to 8 entries per person through Rafflecopter. The winner will be randomly chosen. I’m new to Rafflecopter. How does it work? It’s so easy! Watch this 45 second video HERE! The winner will receive an email indicating that they have won. 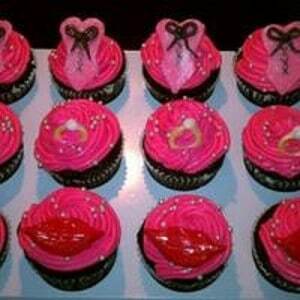 How will the winner receive their cupcakes? 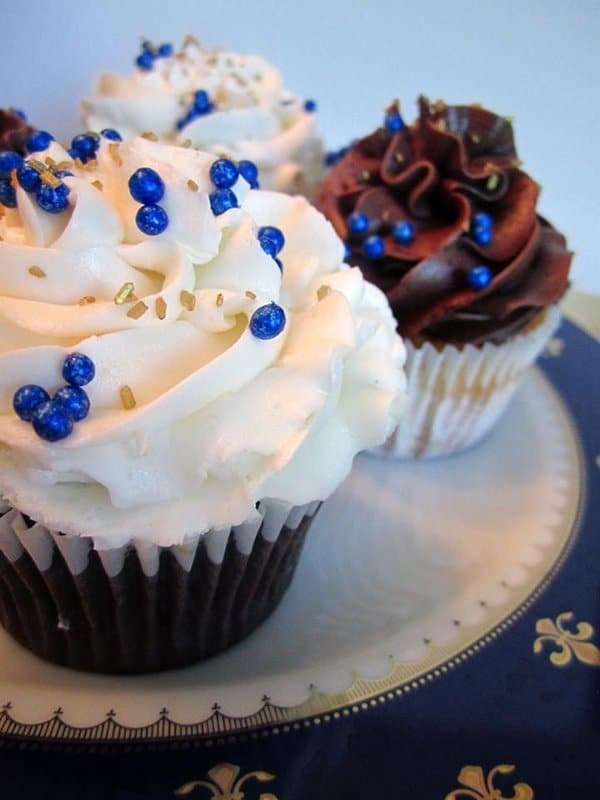 If the winner is a Frederick County resident, or if the winner is within driving distance from Frederick, MD they can visit Piece O’ Cake to pick up their cupcakes. 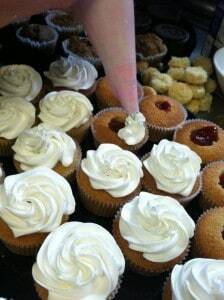 Please allow a couple day’s notice for your freshly baked cupcakes! How long does the winner have to come forward to claim their prize? The winner has 30 days to respond. If no response after the 30 days (by July 26, 2013 ), the prize will be awarded to a different winner. Each person has up to 8 ways of entering. Because we want to be fair to those who have genuinely followed the instructions in submitting their entries, we will be checking to ensure that the entries were submitted honestly before announcing our winner. Can you tell me more about Piece O’ Cake, LLC? 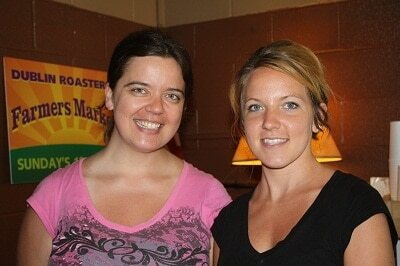 Piece O’ Cake, LLC is operated by two sisters, Naomi and Jessica Reis. 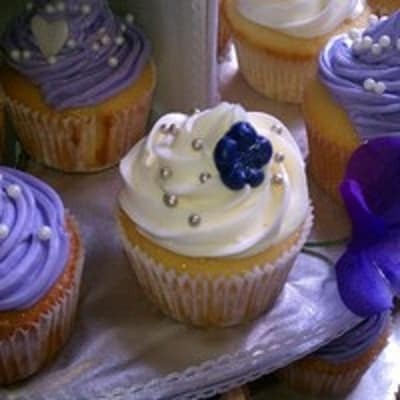 They specialize in Gluten-Free baked goods, made-from-scratch cake and buttercream. They also offer baked goods that are sugar free, vegan, non-gluten-free, or any combination. 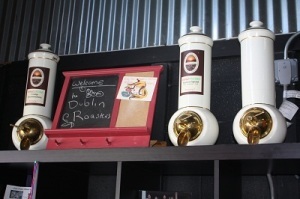 They are located within Dublin Roasters Coffee just outside of downtown Frederick, MD. With a line of bakery items available at the shop; all of their other products must be ordered over the phone, online, and picked up at the café. Everything, from wedding cakes to assorted party platters, is guaranteed to be homemade and delicious. They also offer free delivery in Frederick because they want to make your busy day a little easier! They cater too! 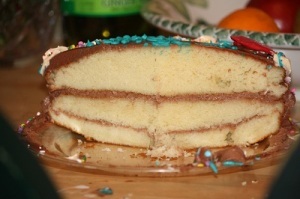 I (this is Terri) can tell you from first-hand experience that their cakes are SO good! 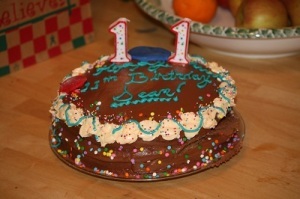 It was such a pleasant experience from my first phone call to Piece O’ Cake! These sisters are the nicest, most down-to-earth people AND have amazing baking talent as well! Visit their website for pictures of their work, and here are two pictures of the cake they made for my son! Please go to their website for hours of operation. Here are some pictures of Dublin Roasters Coffee! May the best Housewife (or Husband) win!! I just found your page today, so it’s double cool to be able to enter this giveaway. Thanks for finding us Tobi! Good luck with the giveaway. We’ll be doing more in the future, so stick with us and tell your friends. Subscribing to the blog will get our posts delivered straight to your email’s inbox.